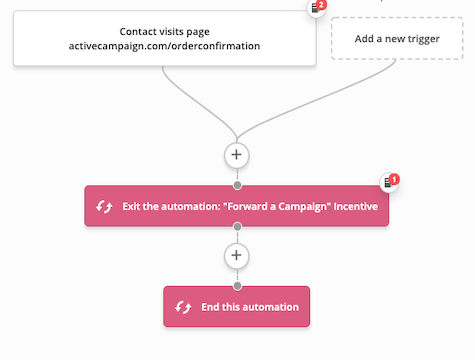 This automation uses Site Tracking data to send an "abandoned cart reminder" email. This automation will only work if your ecommerce solution has a distinct cart URL and order confirmation page URL. If they visit your cart page and didn't visit your order confirmation page within 3 hours, it will send them an email inviting them to checkout. You could include a time-sensitive coupon to encourage them to take action. This is a two-part automation. Part 1 should be imported first.